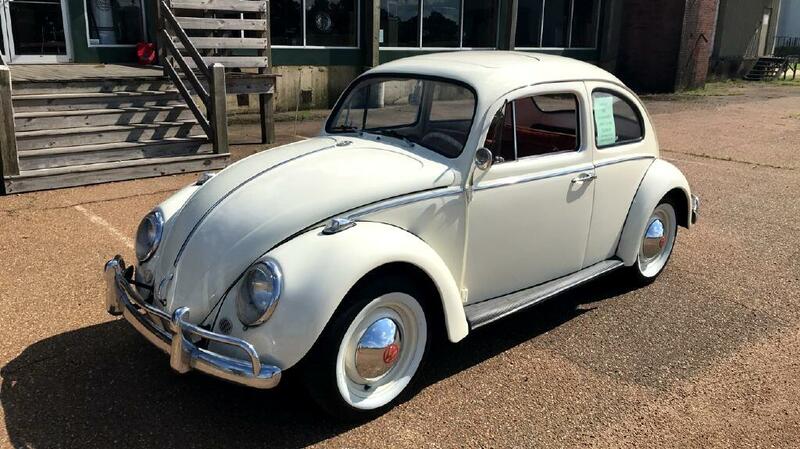 ALL ORIGINAL 1964 VW WITH REBUILT 1300 CC ENGINE, MATCHING NUMBERS. ENGINE HAS LOTS OF CHROME AND ALL THE STAINLESS ON THE CAR IS NEW, EXCEPT BUMPERS. INTERIOR IS TAN/ORANGE SEATS AND DOOR TRIM. IT HAS A NEW GENERATOR AND ABSOLUTELY NO RUST. THIS IS THE FIRST YEAR FOR THE METAL SUN ROOF, WHICH WORKS GOOD. THE CAR WAS RECENTLY TOTALLY RESTORED WITH NEW PAINT AND INTERIOR. THIS IS AS ORIGINAL AND BEAUTIFUL AS IT GETS FOR AN EARLY MODEL BETTLE. Message: Thought you might be interested in this 1964 Volkswagen Beetle.